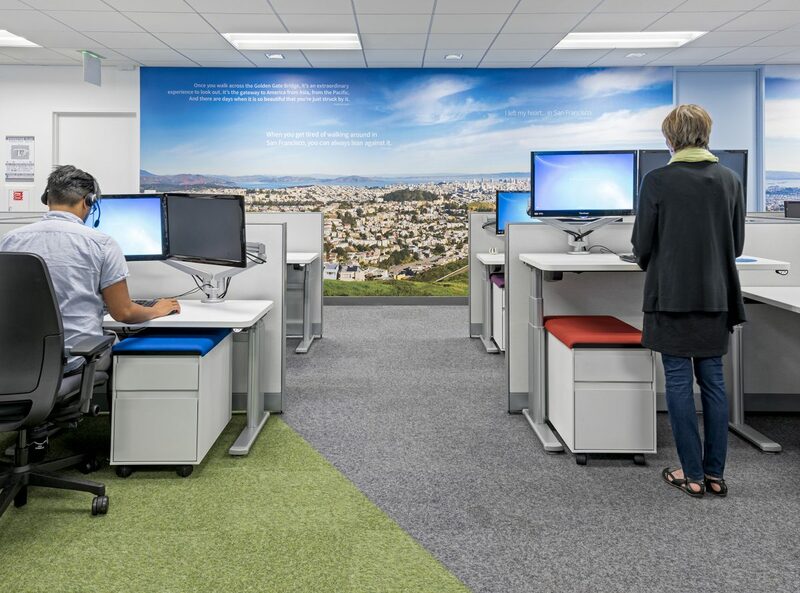 Eye-catching graphics and varied work spaces tell the story of a rapidly changing organization's culture and focus. 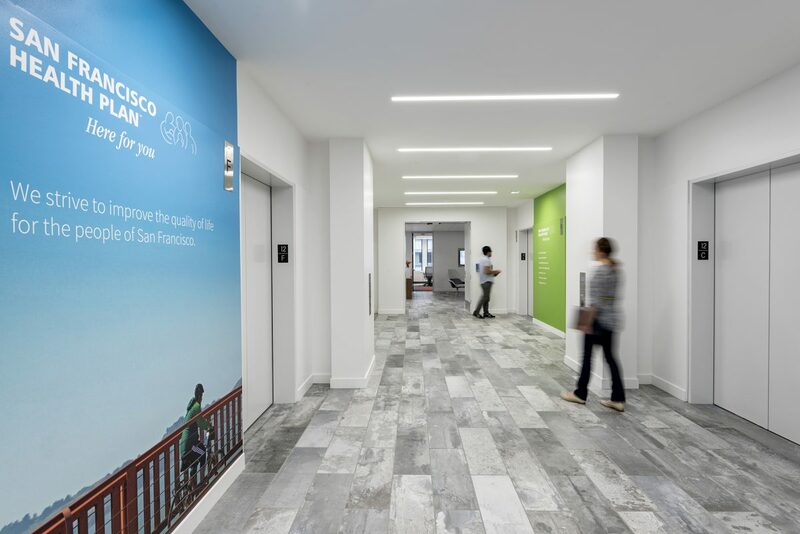 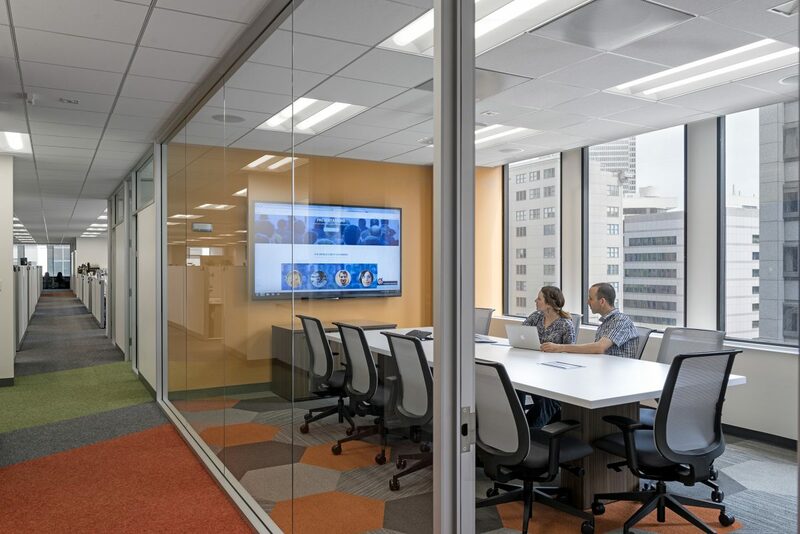 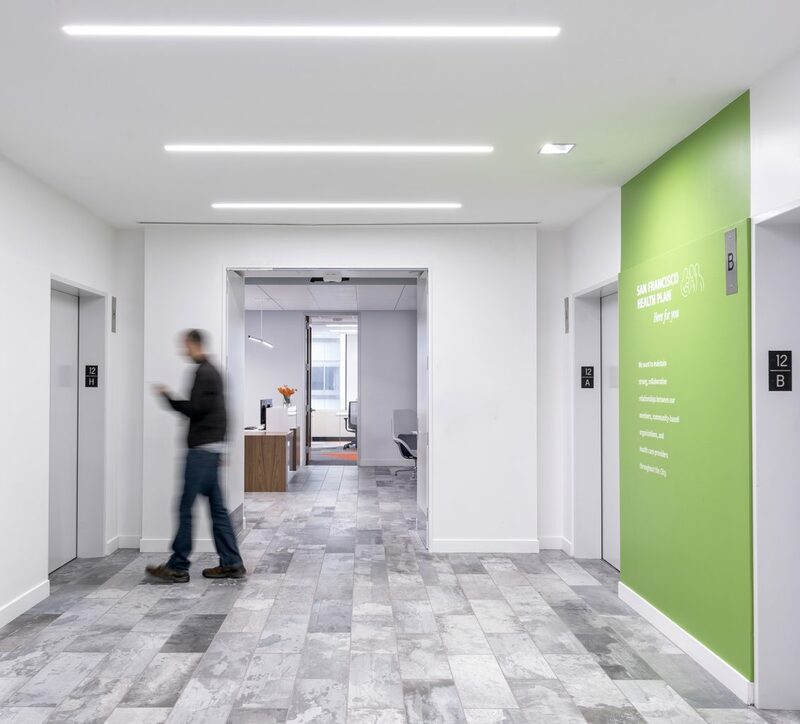 With a rapidly expanding employee base, San Francisco Health Plan needed to move into larger offices quickly, and decided to take the opportunity to deploy a tenant improvement that supported a shift toward a greater ratio of open workspace to private offices. 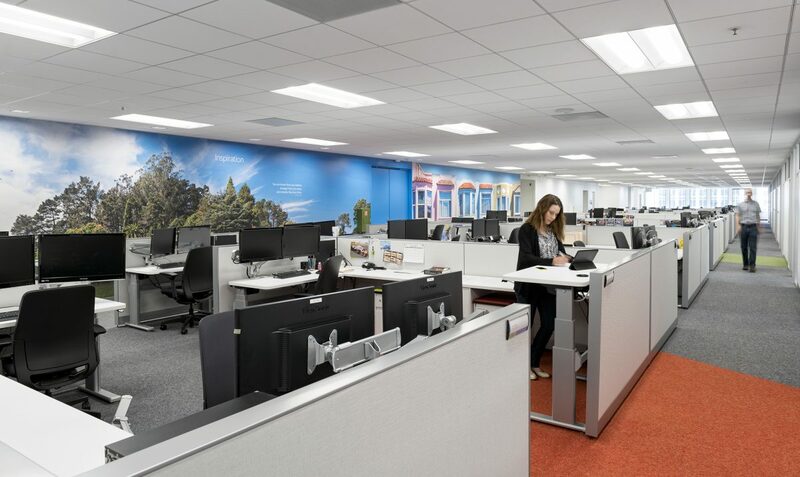 The 46,760-square-foot commercial office design focuses on creating a light-filled open office plan supported by enclosed offices, meeting spaces, huddle zones, phone rooms, and a training room. 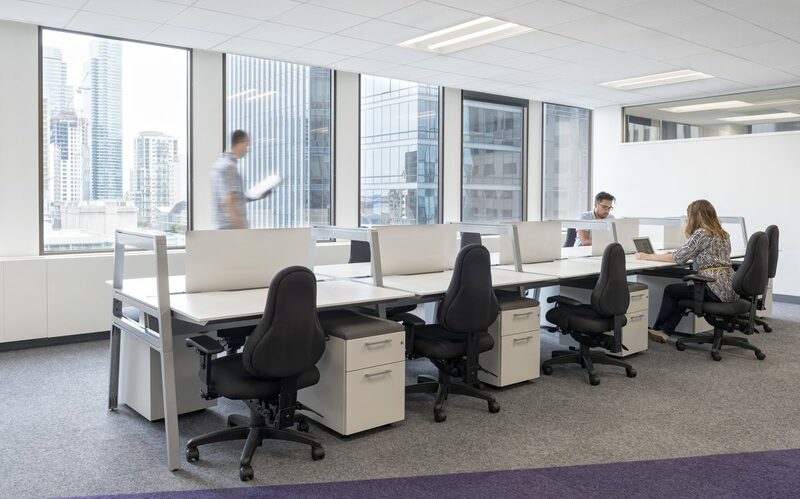 Fully adjustable work stations provide flexibility. 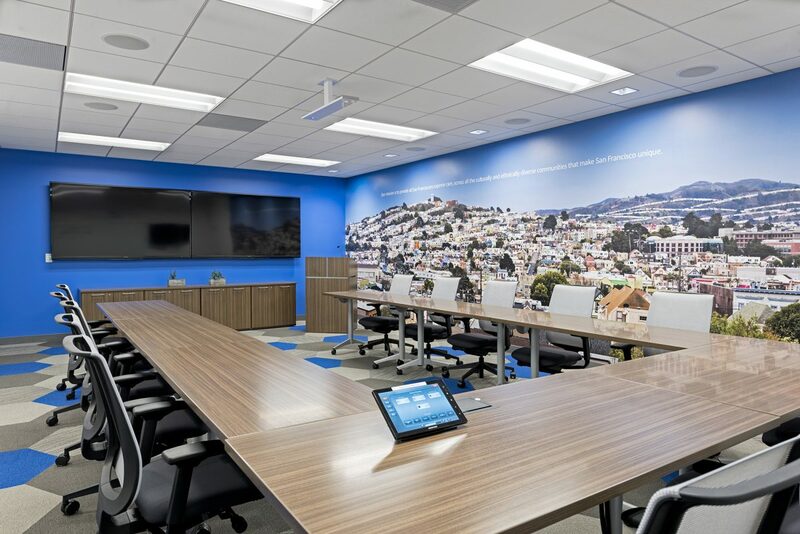 Throughout the space, beginning with the reception area, photo murals of San Francisco vistas paired with inspirational quotes express SFHP’s regional and humanizing focus. 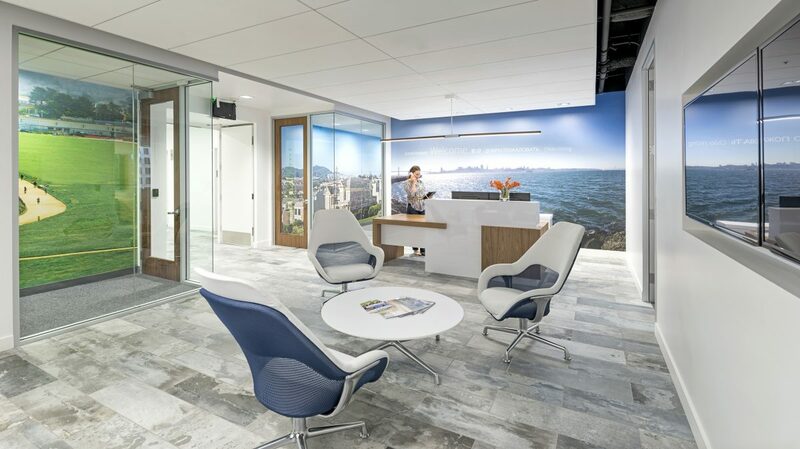 Working closely with SFHP’s Facilities Program Manager, RMW was able to provide a successful fast-tracked design that met a restricted budget while meeting needs for varied work tasks and styles. 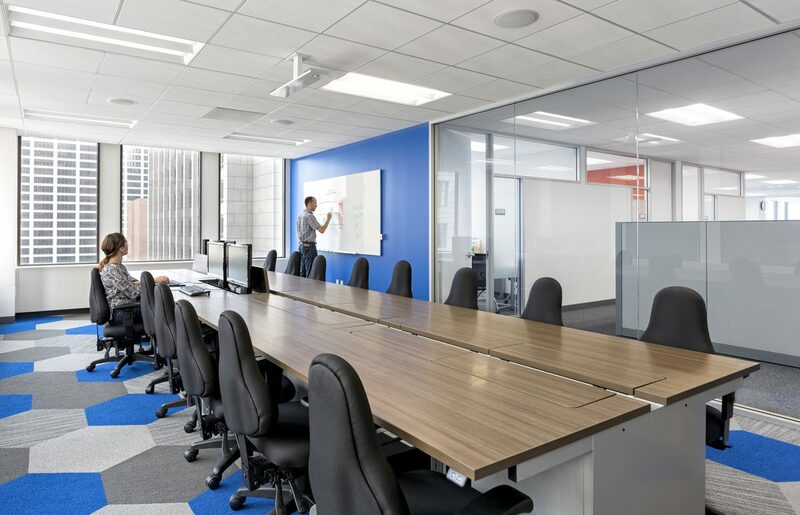 An open office environment takes advantage of window walls on both sides of the building, giving views all the way across the floor plate.